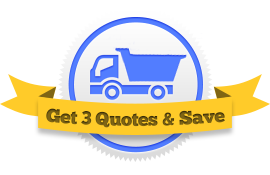 Need cargo insurance for your dump truck? Don’t get just one quote, get three! 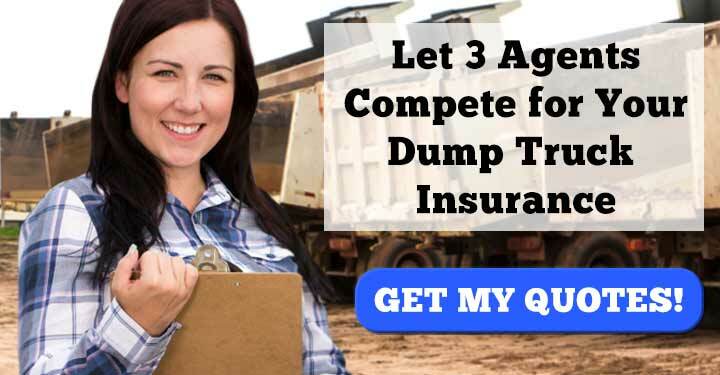 After you fill out one quick and free form, we’ll get you in touch with three local insurance agents who specialize in cargo insurance for dump trucks. Get started now! What is Dump Truck Cargo Insurance? Dump truck owner/operators and dump truck fleet owners typically assume responsibility for the cargo they haul, be it sand, gravel, aggregate, dirt, mulch, or whatever. If the dump truck is involved in an accident and the freight is lost or damaged, then the owner of that dump truck takes responsibility for replacing their client’s freight. Dump truck cargo insurance relieves the transporter of this responsibility. If freight is lost or damaged, it is the insurance company that pays for it. Most businesses expect this type of security, and they will refuse to do business with a dump truck operator who doesn’t have a dump truck cargo insurance policy. Since you want to prove to your clients that their freight is secure with you, a robust cargo insurance policy is solid investment. But what should you look for in a cargo insurance policy? 1. The first obvious thing to consider in a policy: Are the types of materials you haul covered? Cargo insurance policies are specific in which goods they cover. Make sure that your plan includes all your normally hauled freight. 2. Can you easily add on new materials? Say you sometimes haul material outside of what you normally haul. Your insurance representative should be able to quickly add coverage for this new material and send you a certificate of insurance. 3. After an accident, how fast is the claims service? 4. Does my policy cover all types of losses? Some policies don’t cover water damage. Some don’t cover losses during loading and unloading. Some don’t cover you while your dump truck is in storage. Make sure your policy covers you for every imaginable scenario. The amount you pay for cargo insurance depends on a few factors including your deductible, your limit, the types of materials you haul, the area you live in, and your driving record. To get a lower rate on cargo insurance, you can opt for a higher deductible and a lower limit. 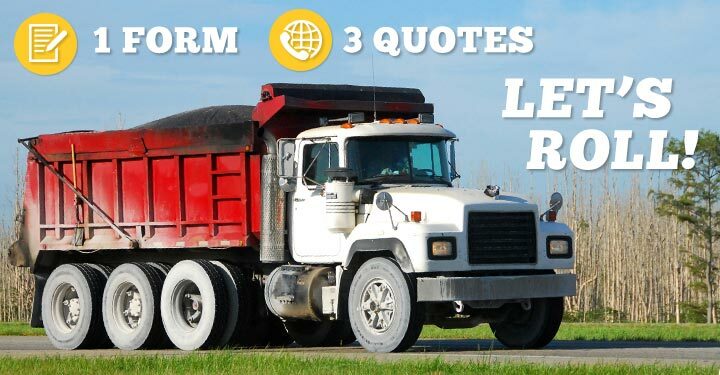 It’s important to note also that the rates for dump truck cargo insurance vary a great deal from provider to provider. The best thing you can do to ensure you get the best deal is to simply shop around. We’ve made this easy. Just fill out one form and we’ll connect you to three separate insurance agents for free. They compete for your business by offering you the best plan they can at the lowest price. Get started now!